Celebrity Gossip and Entertainment News: Ashlee Simpson and Evan Ross Planning to Elope? 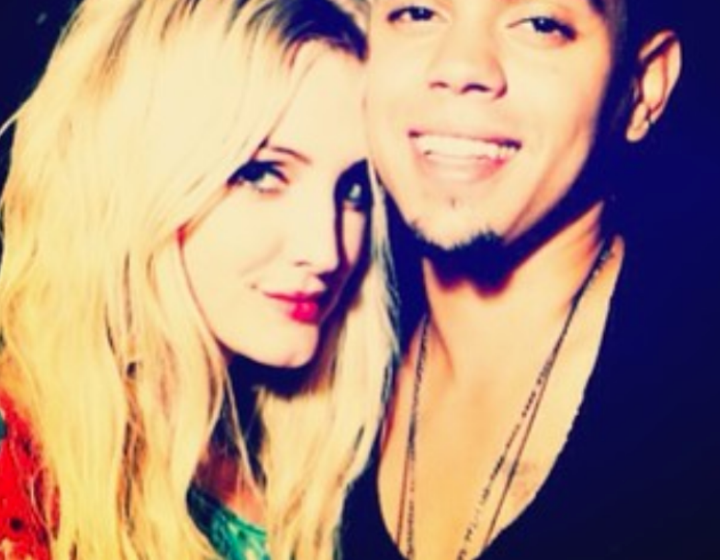 Ashlee Simpson and Evan Ross Planning to Elope? Evan Ross says he and fiance Ashlee Simpson could run off to the courthouse and get married any day now. Don't be surprised if Ashlee Simpson and Evan Ross just run over to a courthouse and get married. OK, maybe they won't be that impulsive, but they can't wait to say, "I do." "Honestly, we could go and get married right now, wherever," Ross told me while promoting his indie, The Wilderness of James, at SXSW. "We just want to be married. We're in love. This is the most incredible time I could ever think of in my life and I'm young, but the same time, I've lived a different life than most and I can't think of a happier moment." For those who don't know, the 25-year-old actor and musician is the son of legendary singer Diana Ross and the late Norwegian shipping magnate, Arne Næss, Jr.
Ross, who plays Messalla in the upcoming Hunger Games: Mockingjay, says he knew he wanted to marry Simpson "really quickly." "I was giving it time only because I wanted to give it time, but I would have asked her a month after I was with her," he said. He popped the question in January after about six months of dating. And Ross already feels like a stepdad to Simpson and her ex-husband Pete Wentz's son,Bronx. "It's up to Ashlee, but I want to have a lot of kids," Ross said. "I grew up with…10 siblings." Simpson and Ross have a wedding date picked out but they're keeping that private. "My mom is helping plan my wedding right now," Ross said. "She's involved in all levels of my life. She's one of the most incredible mothers ever. My mom is 69 and she's going on tour again. She was on tour last year and even going tour, she's involved in every piece of our wedding [and] engagement party."